​Overwhelmed by online marketing and social media? Our digital marketing strategy aims for one thing: results. We use an omni-channel approach to drive traffic and increase customer loyalty. Because your clients are out there, they just don't know you yet. ​We can help grow your business and increase brand awareness with a digital marketing package that is measurable and generates results. Many companies struggle to understand, use and manage social media. Everyone has different social media preferences, so it is important you are broadcasting on all channels. Perfect for low-cost, high-impact marketing. Get your message across with clickable email marketing. Keep your name fresh and your products enticing with smart email marketing. Let us help you get your message out across the Social Media channels to engage with your audience, raise your profile and generate sales.  Finally, take control of social media with a fine balance of educational, promotional and ​third party content and establish you and your business as the experts in your field. Email newsletters are ideal for nurturing your trusted sales leads as well as keeping in touch with existing clients. Send targeted emails and messages that educate and inform - and find out who is reading it. Email marketing delivers more return on investment than many other marketing avenues. Google AdWords allows you to put your brand in front of users who are actively looking. Facebook ​advertising lets you target the people who are the right fit for your business. They are separate, but most businesses will benefit from using both.